NextManufacturing Center Consortium launch. 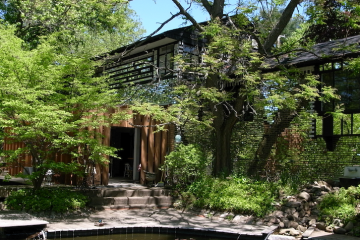 Image courtesy of CMU. Additive manufacturing—otherwise known as 3-D printing—provides various industries with a more efficient, innovative way to create and build new products, but the approach has yet to become widespread. As a result, the NextManufacturing Center at Carnegie Mellon University’s (CMU) College of Engineering recently announced the creation of a consortium to usher the technology into the mainstream. 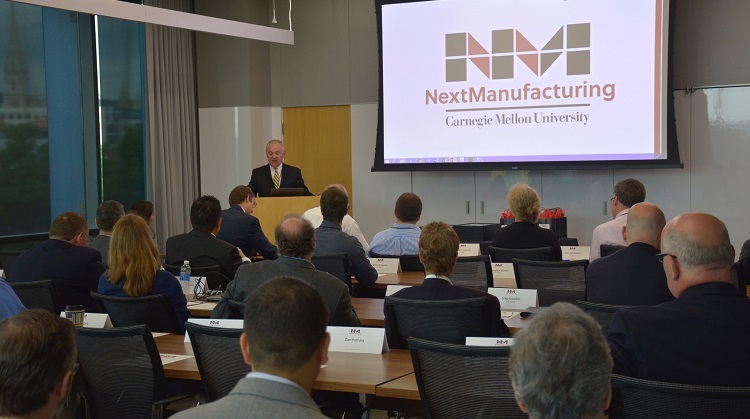 The NextManufacturing Center Consortium gathered 11 major government, industry and nonprofit partners interested in unlocking the true potential of additive manufacturing. 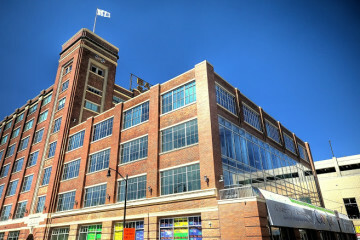 General Electric Company (GE) joined as a founding premium member, and will play a major role in the center’s research. The other members include Alcoa, ANSYS, Bechtel Marine Propulsion Corporation, Bosch, Carpenter Technology Corporation, the Federal Aviation Administration (FAA), Ingersoll Rand Inc., the National Energy Technology Laboratory (NETL), SAE International, and the United States Steel Corporation. Directed by Anthony Rollett, professor of materials science and engineering at CMU, and CMU mechanical engineering professor Jack Beuth, the NextManufacturing Center was launched in 2015. Comprised of over 20 manufacturing researchers from across disciplines at CMU, the Center seeks to define the future of additive manufacturing. 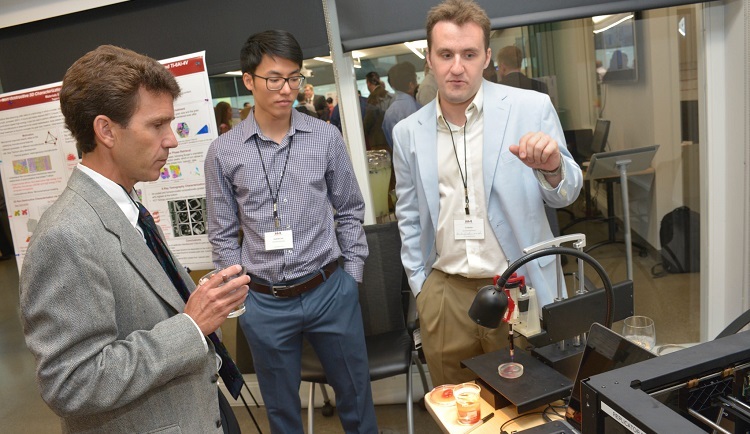 The consortium was officially launched during an event at the NextManufacturing Center where faculty and students highlighted research in topics such as 3-D bioprinting, which will eventually be used to print living tissue. 3-D bioprinting at NextManufacturing Center Consortium launch. Image courtesy of CMU. “The NextManufacturing Center Consortium is excited to not only create valuable partnerships by bringing together these leaders, but also to encourage an important goal of sharing knowledge and ideas about this technology,” says Rollett. Rollett says the technology has already become an economic driver in the region, with consortium partners GE and Alcoa investing in additive manufacturing centers in the Pittsburgh area. But there are still obstacles to overcome. The consortium will enable NextManufacturing Center researchers to train the next generation of additive manufacturing professionals by providing access to hands-on, real-world projects. Consortium partners will also have a hand in optimizing the design, materials and processes of additive manufacturing for applications in industries ranging from aerospace to automotive. “By helping to define research projects, the companies and organizations in the consortium will work with the center to enable key advances in the field of additive manufacturing,” says Rollett.